Take a visit to 221B Baker Street with this comprehensive collection of the great detective's exploits, and experience some of the best and most significant examples of the mystery genre. Arthur Conan Doyle's detective has fascinated readers and viewers since he was first created. So great was readers' love for the character that, when Doyle wanted to kill of the character and focus his writing elsewhere, he was persuaded to bring him back for more. 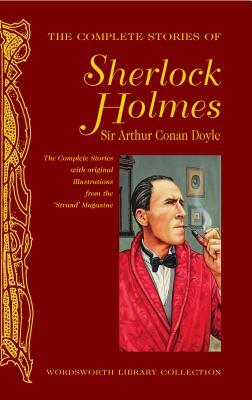 For modern readers, who might know Holmes better as a grumpy doctor on the medical drama House or as a modern day sleuth on the BBC's Sherlock , this collection provides a wonderful opportunity to get to know the original Holmes the Holmes from before Hugh Laurie, Robert Downey Jr, or Benedict Cumberbatch. Penguin Random House Canada is proud to bring you classic works of literature in e-book form, with the highest quality production values. Find more today and rediscover books you never knew you loved.